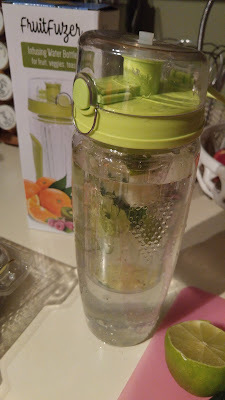 After a recent vacation, I was hooked on fruit infused water. The place we went had it on all the bars, entryways, etc. I could not get enough of it and wanted to try my hand at it at home! I drink a bottle of water every morning on my way to work and then multiple bottles at work, so this was perfect. 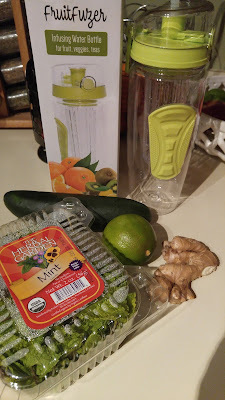 The infuser is I have is large and I barely filled it with my ingredients. It will be perfect for bigger chunks of fruit later! It is lightweight and durable. Now I can have fruit infused water without spending all that money on the vacation. I can have my vacation at home!